Applications underpin today’s cloud and digital transformation initiatives. 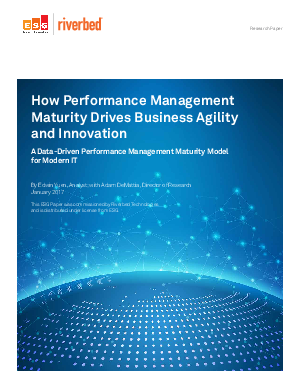 As a result, it’s imperative for modern IT organizations to implement a holistic, expert approach to managing applications for maximum performance and optimal business execution. How performance management expertise drives critical business outcomes. Why mature organizations are better equipped to embrace DevOps and other modern IT practices. What tools, factors, and behaviors correlate to expert performance management practices.